In computer-speak, the word Burn (or Burning) means saving the data on a Compact Disk. This is done with the help of disc burning software. Various types of discs can be created depending upon the data type. Each data type can have specific features and requirements. A disc burning software can have specific features and options for each of these data types. Data Disc – All kinds of data goes into one disk – your documents, images, audio, video, etc. Bootable Disc – These contain the operating system images or other tools that boot with computer bypassing the default operating system startup. Some of the examples are recovery discs, partitioning disks, antivirus rescue disks, etc. An ISO (.iso) file is required to create a bootable disc. Audio CD/DVD/MP3 – Create and burn proper Audio CDs with text information files. Compatible with all types of CD players. Video CD/DVD/BluRay – Create and burn Video DVDs from the previously created Video_TS folders. These discs are compatible with all types of DVD players. Multi-session Disk – An extension to the Data Disc. When you burn data on the same disc multiple times, the new data does not replace but append the previously burned data on that disk. This way, the same disc can be burned multiple times, and the data can be added to it until the disk reaches its full capacity. 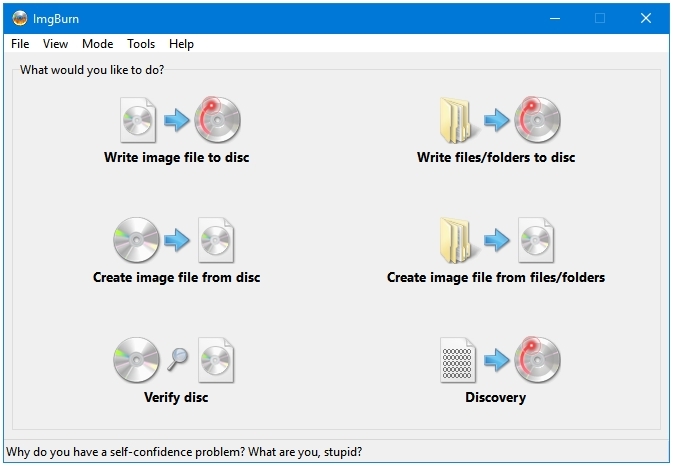 Clone Disc – Create a backup of the data stored on disks. Copy Disc – Copy the contents of one disk, and then burn those contents into one or more disks. Erase Disc – Delete data written on the ReWritable (RW) disks. Disc Info – Gather general disk-related information. Verify Disc – Check the disc for errors before and after the burning of data. 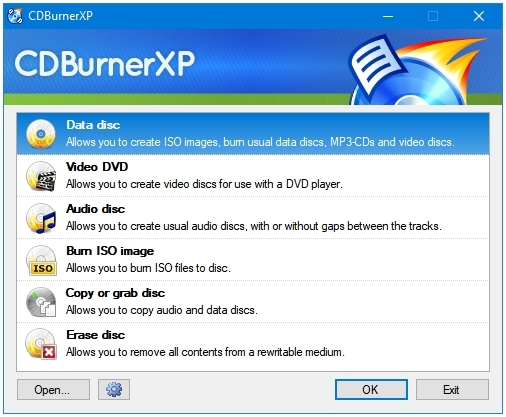 CDBurnerXP is a free, feature-rich, and lightweight software that can help you perform almost every disc burning related task on any type of disk like CD, DVD, HD-DVD, and Blu-Ray. It is available freely for both types of users – Home and Commercial. It can run on Windows 2000, Windows XP, Windows Server 2003, Windows Vista, Windows Server 2008, Windows 7, Windows Server 2012, Windows 8, Windows 8.1, and Windows 10. Both of the versions, 32-bit (x86) and 64-bit (x64) are supported. It does have not any Pro, Paid, or Premium version(s), so you won’t be bothered with annoying ads, popups, promotions, splash screens, or any other type of nagware. Don’t be put off by the two letters “X & P” in the name of CDBurnerXP. It is not an XP only program. This program is updated regularly. If you have to take anything away from the name of this wonderful program, then that should be the fact that it has been around for a while. While it out may not have too many icons or menus to display a list of is desired, it is able to do almost everything a full featured disc burning software is expected to do. Data disc – The most versatile category. It lets you create ISO images, burn multi-session data discs, MP3-CDs, and Video discs. Audio disc – Create CD player compatible Audio CDs including the CD-Text information generated from ID3, APE tags. You can choose to apply Replay Gain to your Audio CDs to enjoy a balanced sound level output. It is a great option to have if you are creating a compilation CD, or burning songs obtained from different sources, all of which may be different dB levels. Different dB levels mean different sound outputs. Replay Gain balances the sound output. Burn ISO image – Burn your ISO files to discs, or create ISO images of your disks, and keep them as backup. Copy or grab disc – Copy the contents of your discs to another Disk or to your Hard disk. On your Hard disk, you can copy the disc contents in two formats – ISO and MDS. Erase disc – Remove content from the rewritable discs. An all-around great disc burning solution for Windows. CDBurnerXP features a clean and fast installer with multiple language support. 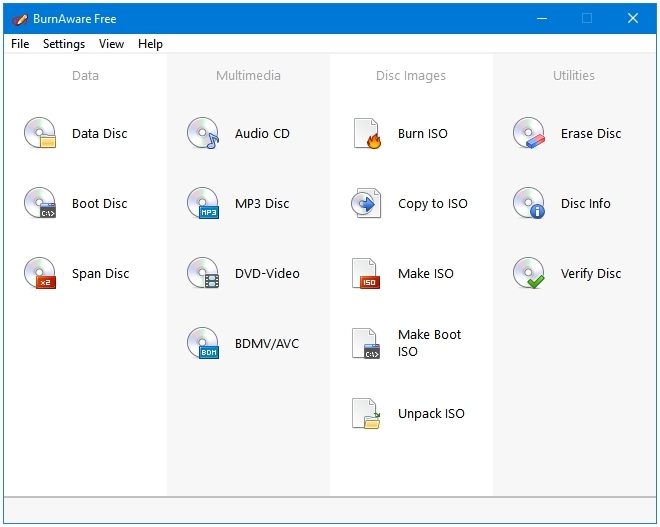 BurnAware Free is a feature-rich and easy-to-use burning software that can perform all kinds of disc burning tasks such as creating Audio CDs, Video DVDs, making and burning ISOs, creating backups of discs, checking discs for errors, etc. If ease-of-use is your preference then nothing can beat BurnAware. BurnAware has the most user-friendly interface in the disc-burner software category. It is also the best-organized burning software. You don’t have to find in menu bars or click multiple buttons to start the tools that you are wan to use. Every supported tool is displayed on the home screen itself. Three view modes are supported – Icons, List, and Categories. The Icons view is the default view in BurnAware, it displays icons of the tools along with their text labels. The List view shows only the names of the tools. 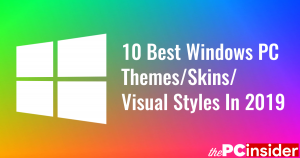 The Category view gives you a two-pane styled window, where the left pane includes four tabs, one for each category, clicking on each tab (category) displays the tools included in that category in the right pane of the window. A total of 15 tools are available for users in the following 4 categories. Data – Includes Data Disc, Boot Disc, Span Disc tools. Multimedia – Includes Audio CD, MP3 Disc, DVD-Video, BDMV/AVC tools. Disc Images – Includes Burn ISO, Copy to ISO, Make ISO, Make Boot ISO, Unpack ISO tools. Utilities – Includes Erase Disc, Disc Info, Verify Disc tools. Hover over each icon to read about its description, and find out what that tool does. The installer of BurnAware Free contains no Ads, Promos, or PUPs. ImgBurn is a free, lightweight, feature-rich, and advanced CD, DVD, HD-DVD, and Blu-Ray burning software for Windows. The name of this program may indicate that it is aimed only at the ISO file-related operations. That is not true. The name just indicates that it is the best burner out there for the ISO (Image) files. But, it is not limited to only image burning. ImgBurn can do all of the other data burning tasks for you such as creating a Data Disc, Audio CD, Video DVD, etc. ImgBurn has a unique feature called Modes. Clicking on each Mode brings in front of you the preconfigured environment suited for that type of activity or mode. There are multiple pages of settings and options for each of the five main modes of this program. The home window uses the Ex-Mode Picker… mode, which lists the following actions. Write image file to disc – Takes you to the Write Mode. Write files/folders to disc – Takes you to the Build Mode. Create image file from disc – Takes you to the Read Mode. Create image file from files/folders – Takes you to the Build Mode. Verify disc – Takes you to the Verify Mode. Discovery – Takes you to the Discovery Mode. ImgBurn is the most thorough disc burner software with many advanced features. It is a great software for experienced or advanced users who want more control over the software that they use. If you want a software that has tons of options, and lets you configure each and every aspect of the burning process, then ImgBurn is the one for you. The new users may find it a little intimidating. Not everything is made exactly clear, for example, in the home screen, four buttons out of six talk about images but none of them gives you an option to create an Audio CD or a Video DVD, which are actually supported by ImgBurn. The installer does not contain any Ads, Promotions, or any other PUAs. InfraRecorder is a free and open-source software released under the GPU GPL license. If you like to stay on the open-source side of things then you can choose this one over the other freeware listed here. It is cross-platform; available for Windows and Linux. 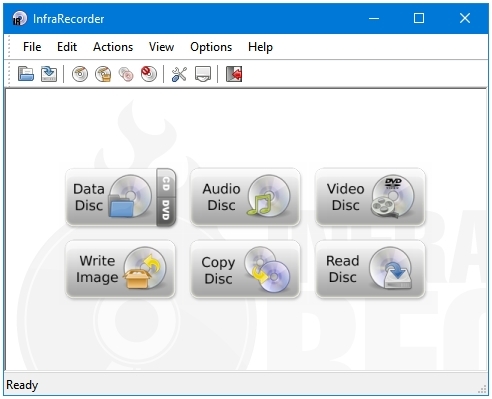 Also, if you are a dual-boot user, and want more consistency in the software that you use in your operating systems, then InfraRecorder could be a better option as it is available for multiple types of operating systems. The home screen has the following six buttons that can get you started in no time. Clicking on each button gives a description of what that tool does. These six buttons listed on the home windows of the program is just one of the ways to get things started. If you want to do a more specific task then you click on the File tab in the program Toolbar, and then click New Project to choose from a list of predefined projects such as Data CD, Data CD (multi-session), Data DVD, Audio CD, Mixed-Mode CD, and DVD-Video Disc. These projects can be saved, and used at a later time. There are ample amount of user-interface customization options available as well. You can decide between Large Icons, Small Icons, List, and Details views. The Toolbar buttons be made bigger or smaller, the text labels beside them can be enabled or disabled. InfraRecorder has an easy to use interface for a new user. There are no advanced settings or options that you need to configure to make it work, it is already optimized for the best results. Just pick an option and go! AnyBurn is the most straightforward, easy to use, lightweight, and feature-rich burning solution for Windows. The name tells you everything that you need to know about this program; it burns anything. It includes all the tools that you would expect in a full-featured CD DVD ISO burning suite, and some more. The tools in the AnyBurn home window are not listed with their names but with their descriptions. It can be very helpful to new computer users who do not know what a tool does. With AnyBurn, you just have to read the description written on the button of each tool, and then click on the one that you want to use. 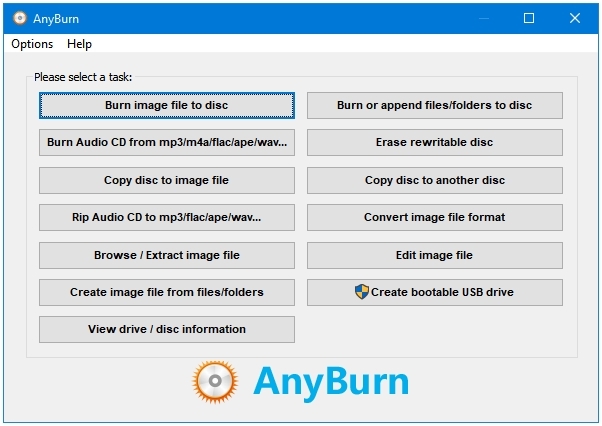 You can do the following disc burning related tasks with AnyBurn. The size of its installer is a mere 1 MB. And, an installer of 1 MB has no space for ads or bloat. Once a VIDEO_TS has been created, you can use any of the 5 software mentioned here to burn that folder to your DVD to create a DVD Player compatible DVD that will play on any DVD Player. I am looking for a burner that will copy the audio files from a DVD to my hardrive for transfer to smart phone. This post is about the DVD Burning Software. What you are looking for is a DVD Ripper, which can rip and convert the DVD Video into Audio streams, and store on your computer. If the DVD that you are talking about includes the Audio files, then what you want to achieve is very simple, you just have to copy the DVD Disk to you Hard Drive. But, if you want only the audio stream from a DVD Video disk, then like I said earlier, you need to choose an audio file format as the output file format in your DVD Ripper software. There’s a freeware called WinX DVD Ripper, which supports exporting a DVD Video file into Audio format. Hi what is the best for authoring 24/96 stereo wav files to dvd format? Am I correct in assuming any with mpeg2 charecteristics only do 16 bit or max 48hz? ie a compression. That’s a very specific job. I don’t know of any freeware software that is known for doing this.